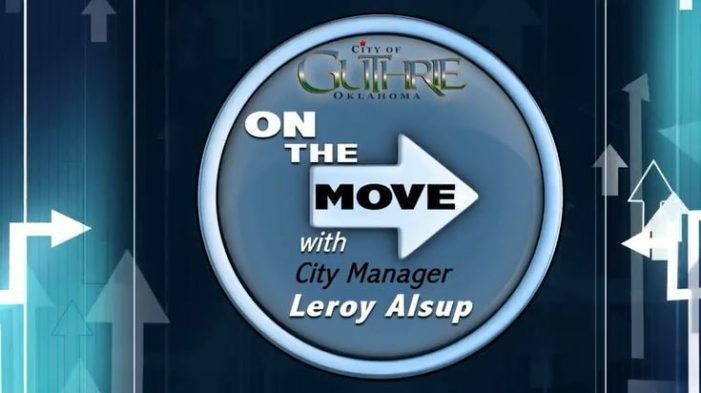 Check out the December/January 2018 Edition of “ON THE MOVE” with Guthrie City Manager Leroy Alsup​. Improvements are ongoing at Liberty Lake as city officials are hopeful of making the lake a premier place to attend in Central Oklahoma. An approved sales tax in August would continue that momentum. The City of Guthrie is joining the list of cities and schools that will restrict tobacco and e-cigarette products. The restriction will be for all city owned and operated properties, including parks, lakes and little league sports fields. What type of park amenities would you like to see at Liberty Lake? The Guthrie City Council met with members of the public and representatives from the planning firm Jacobs Engineering, to discuss what type of land usage should be included in future use planning at Liberty Lake. If it is up to the Logan County and Guthrie Junior High SWAT team they just spent their last day picking up cigarette butts in the park. A meeting has been scheduled at 6:30 pm on Tuesday, October 25 in the Guthrie City Council Chambers to discuss future plans for the Liberty Lake area. The City of Guthrie has a variety of options when it comes to city parks in town for families, but there are no options for dogs despite several attempts.